Author Veronica Roth might be smiling from ear to ear right now, because the first official trailer of the movie adaptation of her Divergent novel has made its debut at MTV's Music Video Award 2013 ceremony. The dystopian world she has created has certainly sparked some actions and thrills for fans around the world. Jeanine Matthews (Kate Winslet) is making sure that everyone falls into order. Everyone who doesn't belong to this order, called Divergents, must then be destroyed. That's the fate Beatrice "Tris" Prior, played by Shailene Woodley, has to face. Could she survive the plot with the help of Tobias "Four" Eaton (Theo James)? What will you do if your being different put you into a mortal danger? Watch the new trailer of Divergent, starring Shailene Woodley, Miles Teller, Theo James and Kate Winslet. Divergent is a thrilling adventure set in a future world where people are divided into distinct factions based on their personalities. Tris Prior (Woodley) is warned she is Divergent and will never fit into any one group. When she discovers a conspiracy to destroy all Divergents, she must find out what makes being Divergent so dangerous before it's too late. 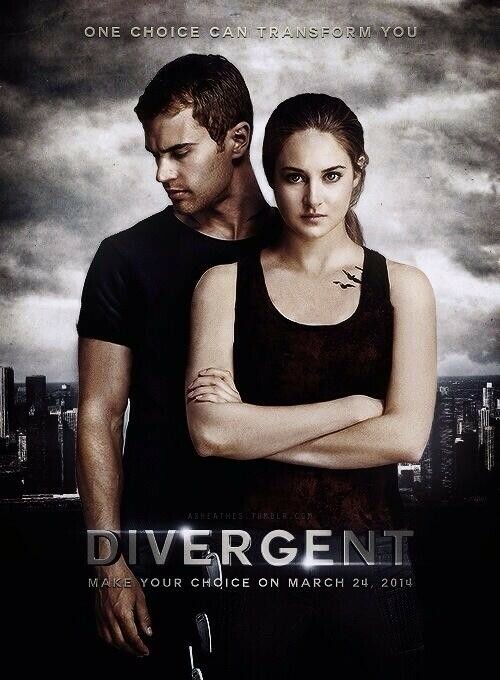 Divergent will hit theaters on March 21, 2014.